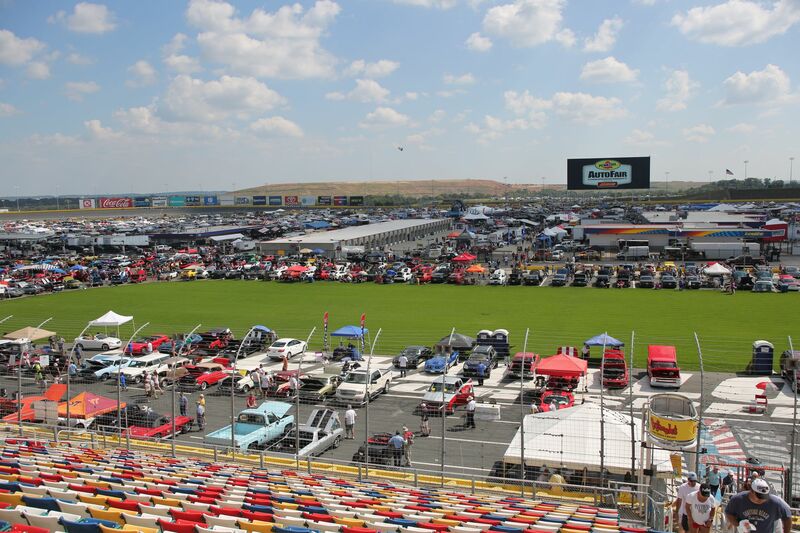 Early April in North Carolina means one thing for the collector-car hobby: Charlotte AutoFair. 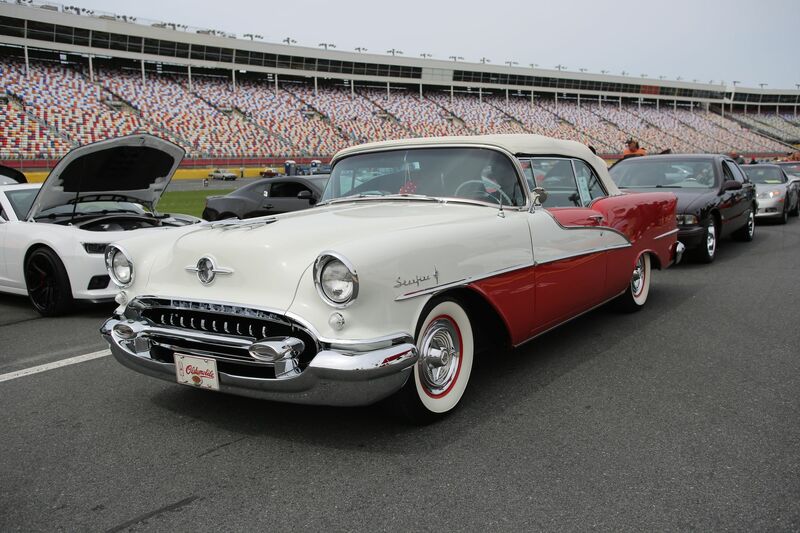 This year’s Spring Charlotte AutoFair will take place from Thursday, April 4, through Sunday, April 7 — and people will come from distances far greater than the Carolinas to attend! Combining an AACA National, a huge car corral, thousands of vendors at a massive, multi-field swap meet, and dozens of little car shows over a long weekend, AutoFair is a unique and well-attended event like no other. 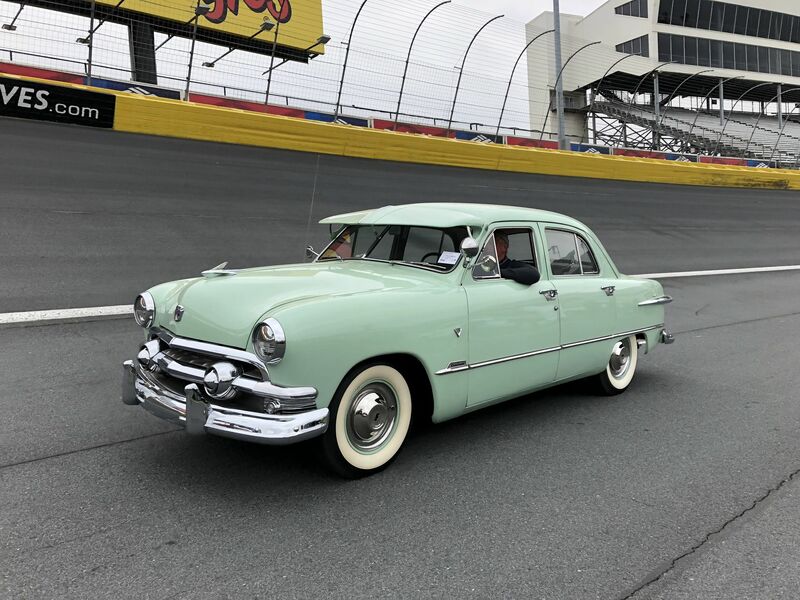 And if you’re a race fan, you’ll enjoy that the whole thing takes place at Charlotte Motor Speedway, with the car corral itself occupying most of the main oval track. Going into its 42nd year, AutoFair has grown into one of the largest, best-attended car shows in the Southeast. 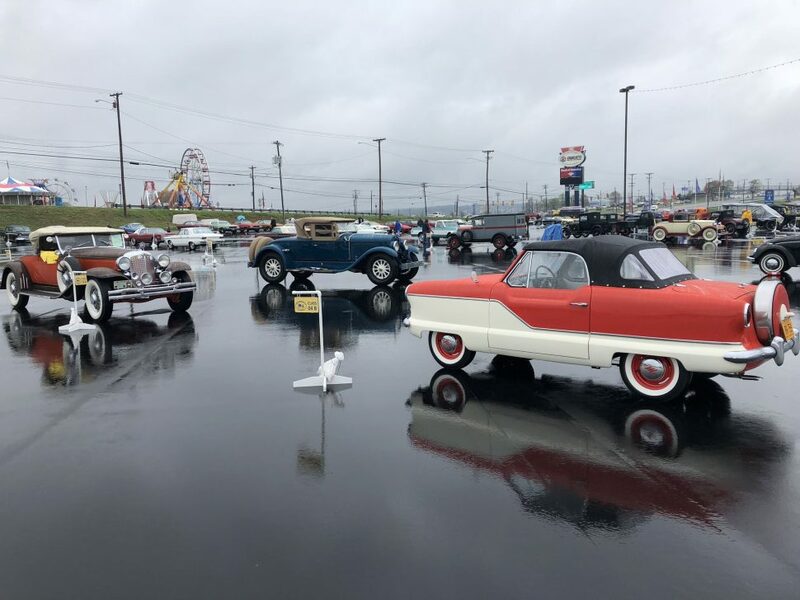 Mel Carson, Executive Director of the Hornets Nest Region (and current national AACA President), told us that he expects the usual turnout of “100,000 to 150,000 people, depending on weather,” for the four days of activities. Those attendees are often drawn by the big swap meet, which has four designated areas: two inside the speedway, which essentially fill the entire infield and include many well-known parts, equipment, and tool suppliers in the industry; and two outside, which are often occupied by the hobby-type vendors, though all are well worth a visit to try and find not only those parts you desperately need to finish a project, but also that thing you never knew you needed in the first place. Mel reported that around 8,000 vendor spaces had been sold as of March 28, and, “With good weather, we’ll be busy Thursday and Friday morning selling additional vendors spaces.” (Some vendors will use more than a single allocated space, so the total vendor number is lower than 8,000.) 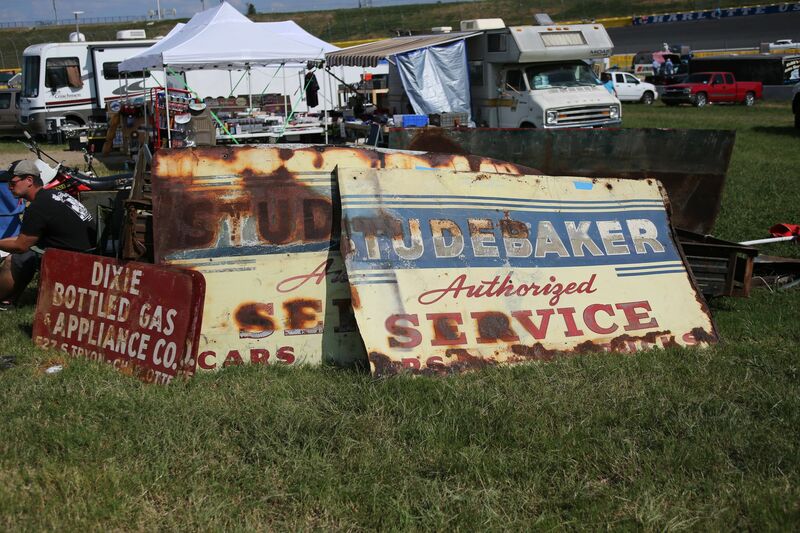 If you’re a veteran of Hershey or Carlisle, you might feel right at home; otherwise, the entire swap meet can be a bit overwhelming. Be sure to spend the time to visit as many vendors as you can. 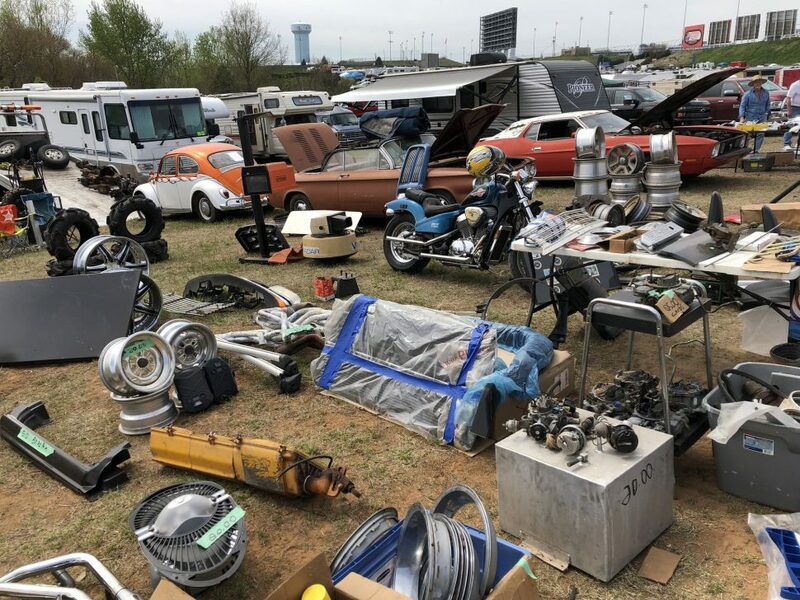 Though the swap meet is a huge draw, access to the infield vendor area that also includes the car corral requires a paid ticket, but the AACA Southeastern Spring Nationals represents one of the great bargains of the weekend. 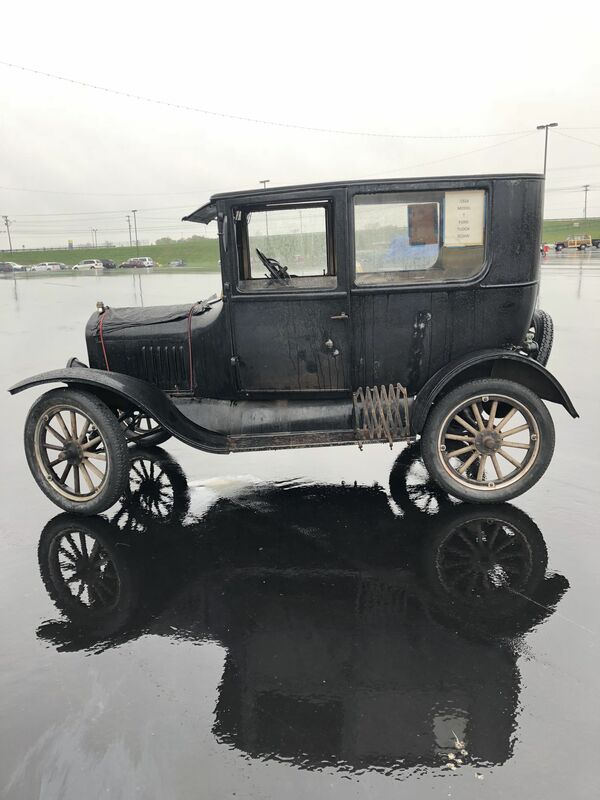 Held on a parking lot outside the Speedway’s walls on Saturday, April 6, the AACA meet is free, though you will likely need to pay for parking. While last year’s event occurred on an unseasonably cold day with drenching rain that saw about half the field stay in their trailers, organizers are hoping for better weather for the 293 registered attendees. The AACA meet will take place in the parking area that is known as the Speedway’s “Fan Zone” during race weekends, at the intersection of U.S. 29 and Morehead Road. Event details can be found here. In addition to the AACA show, the weekend includes dozens of mini car shows put on by various local clubs and chapters of national car clubs. These clubs have dedicated space in the infield and on some of the concourse areas behind and under the main grandstand sections of the Speedway seating area. 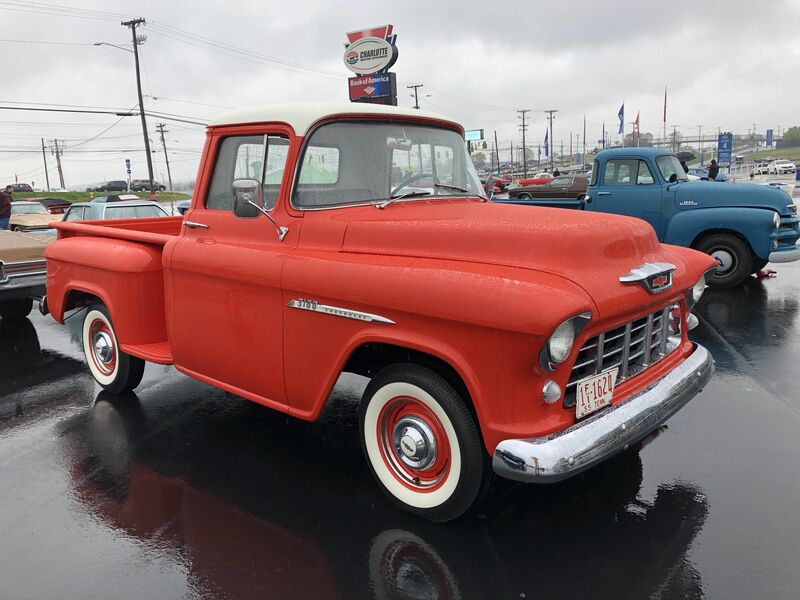 From single-marque clubs to muscle car associations to foreign and domestic makes of all stripes, there are surely clubs with interesting cars and trucks for everyone to see. 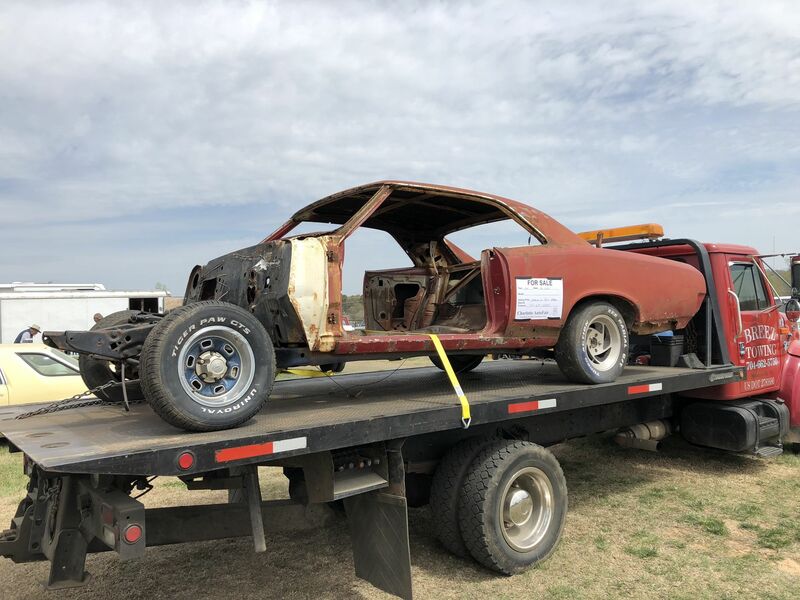 Be sure to grab a copy of the free AutoFair program for information on where the clubs will be located, as well as a master listing of vendors pre-registered for the swap meet. Admission is $13 at the gate. You will find additional information here: Charlotte AutoFair.